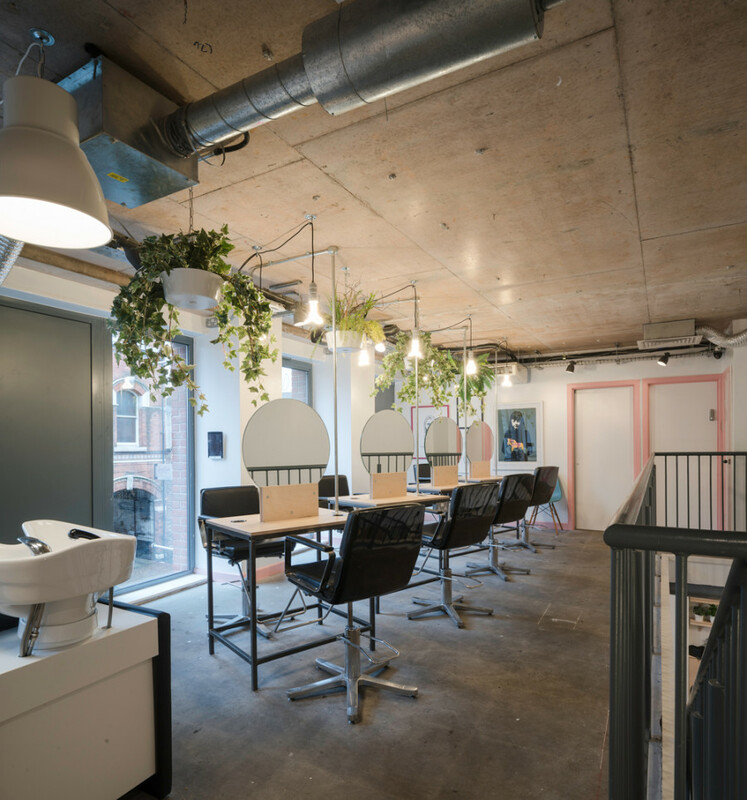 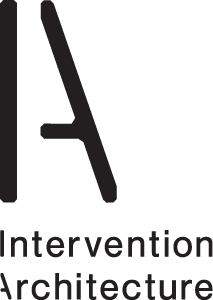 Working in close collaboration with the client, Intervention Architecture have recently completed the design and delivery of a unique two-floor salon in the Jewellery Quarter, Birmingham, for Hazel + Haydn. 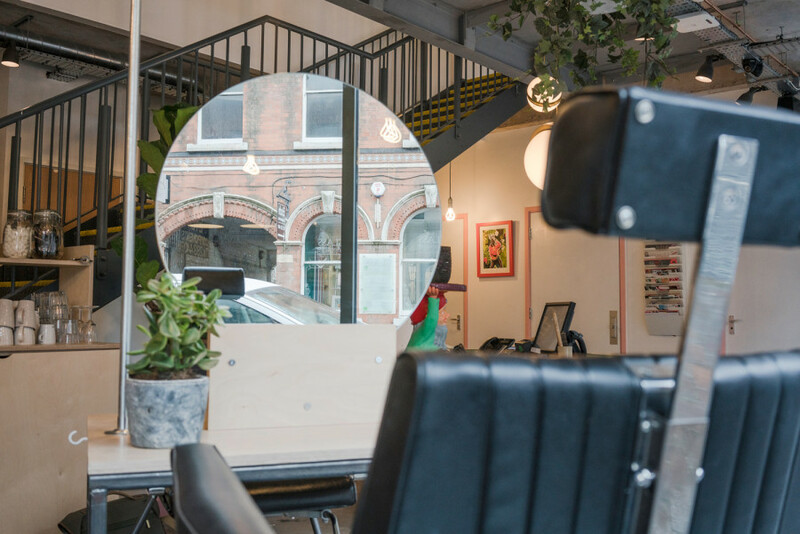 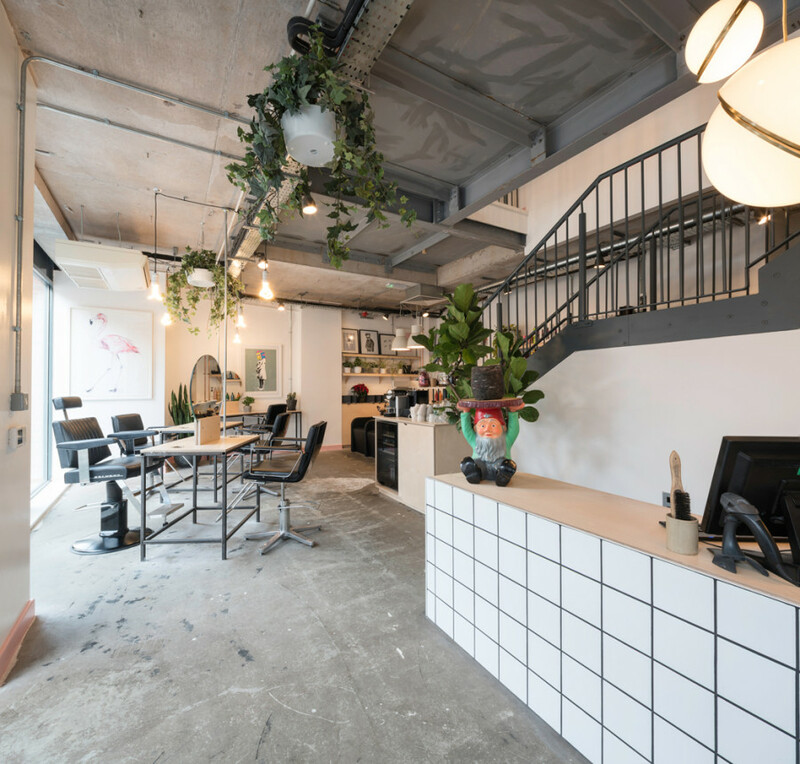 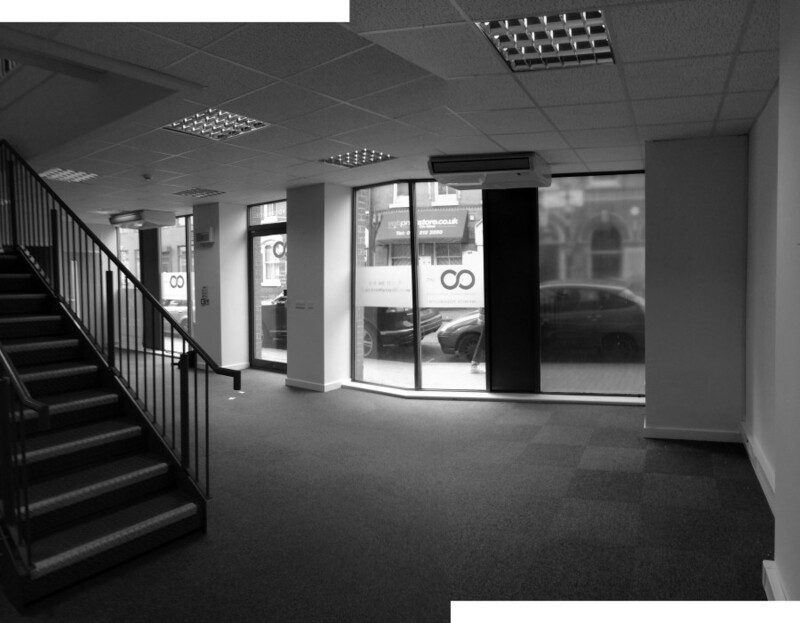 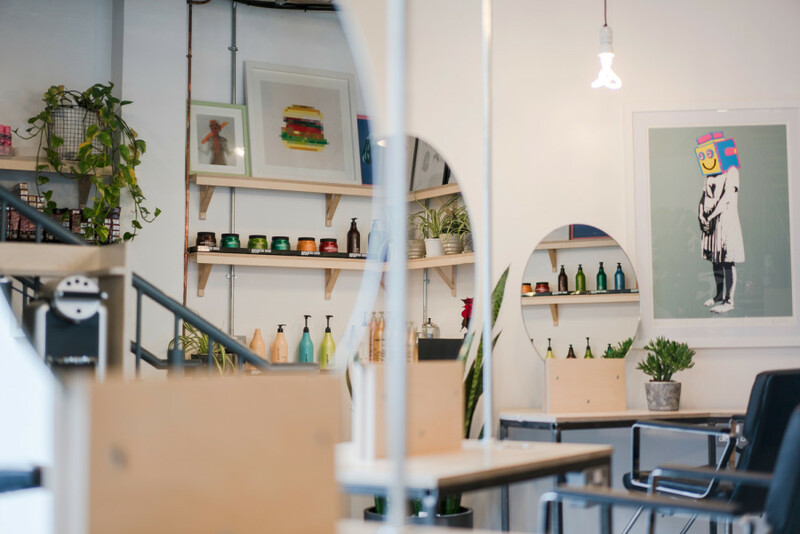 The internal renovations create a hairdressing and beauty treatment salon, a converted use from a previous office unit. 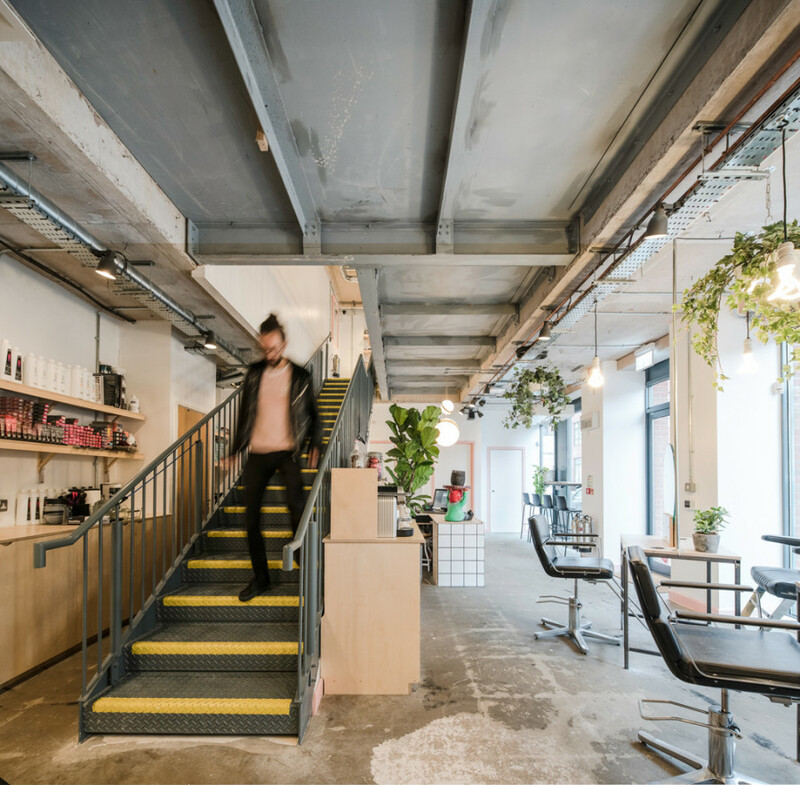 New spaces were created with partitions, which allow zones for storage, treatments, cutting stations, staff, and cafe areas. 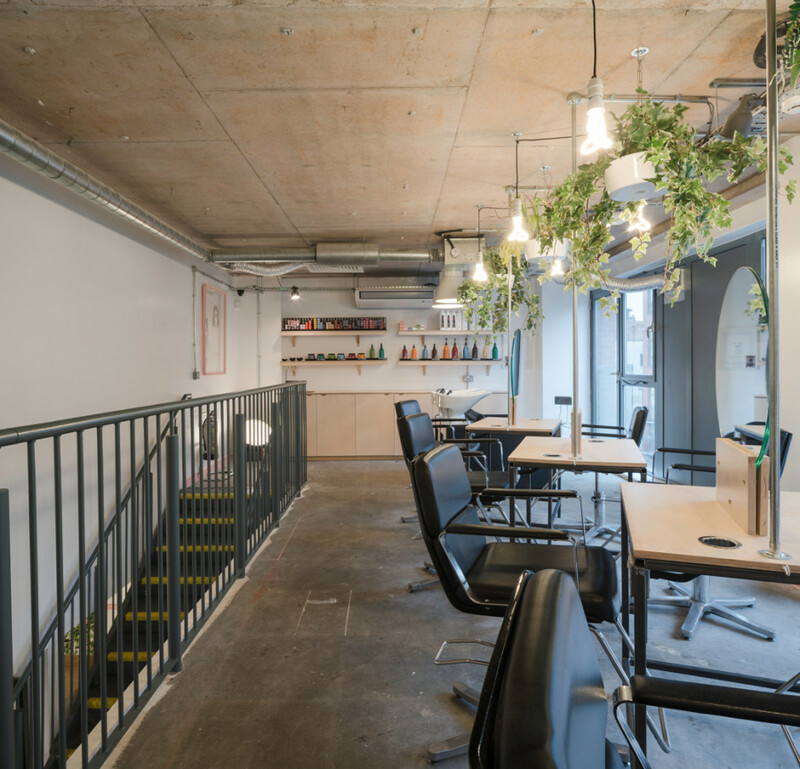 Uncovering the existing concrete structure, by removing carpet tiles and suspended ceilings throughout, has created a bright and honestly expressed tonally rich environment, juxtaposed with new brighter insertions. 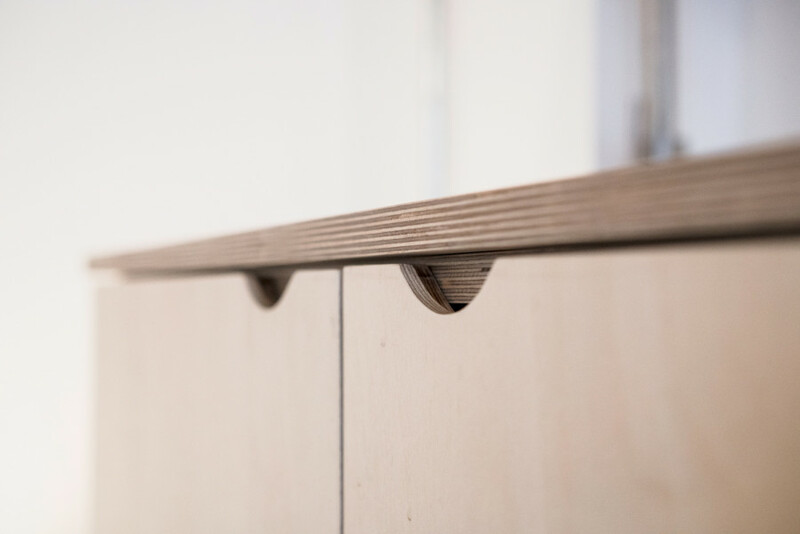 The new joinery elements of blond birch plywood used throughout, entirely bespoke and designed in detail by IA to ensure that each zonal area linked with walls of storage. 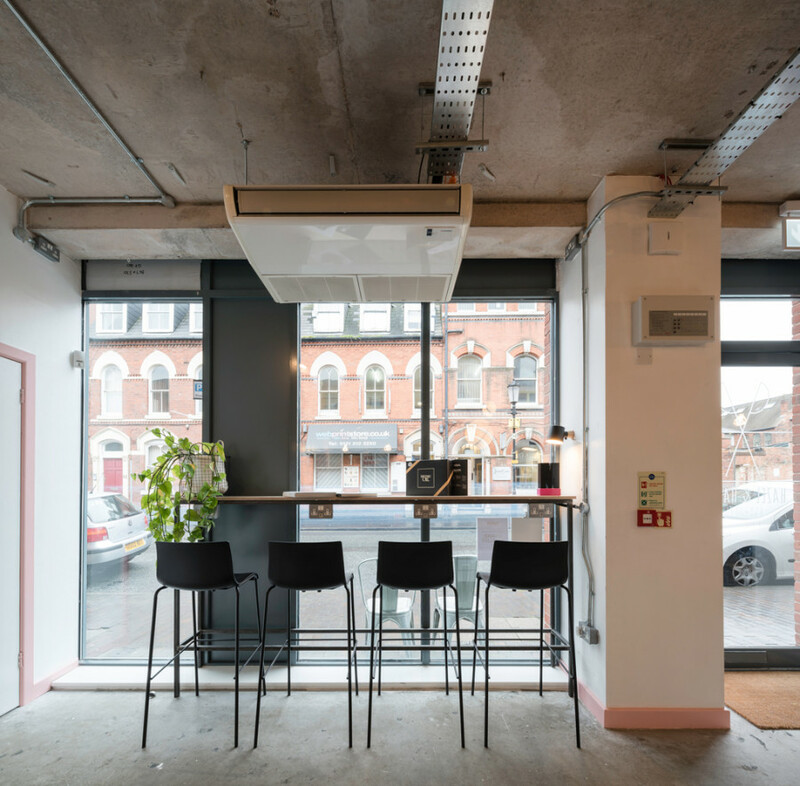 Cutting stations were created with bespoke steel frames topped with ply, with integrated recesses for tools for cutting. 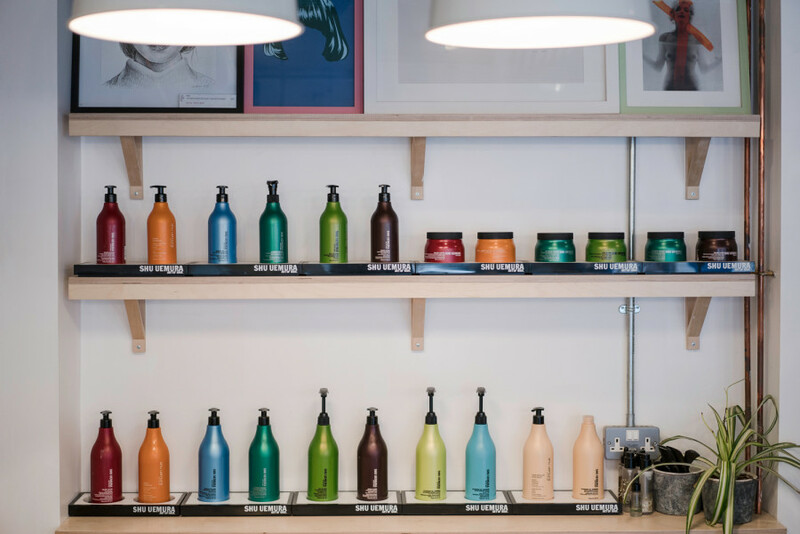 Washing stations were also provided on both floors, with associated colour mixing walls. 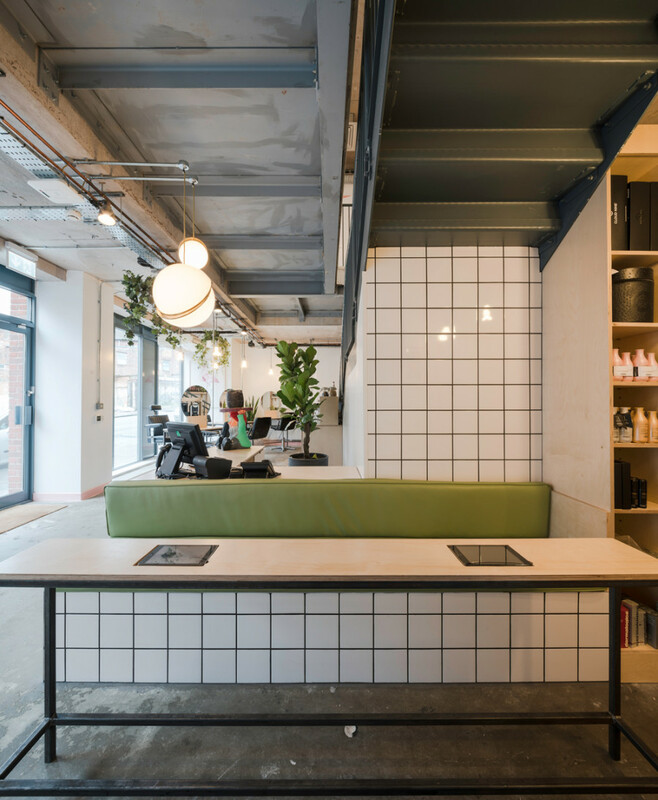 The reception area includes a tiled frontage desk, full height tree on arrival, bench seating, with a table including integrated ipads for use whilst waiting. 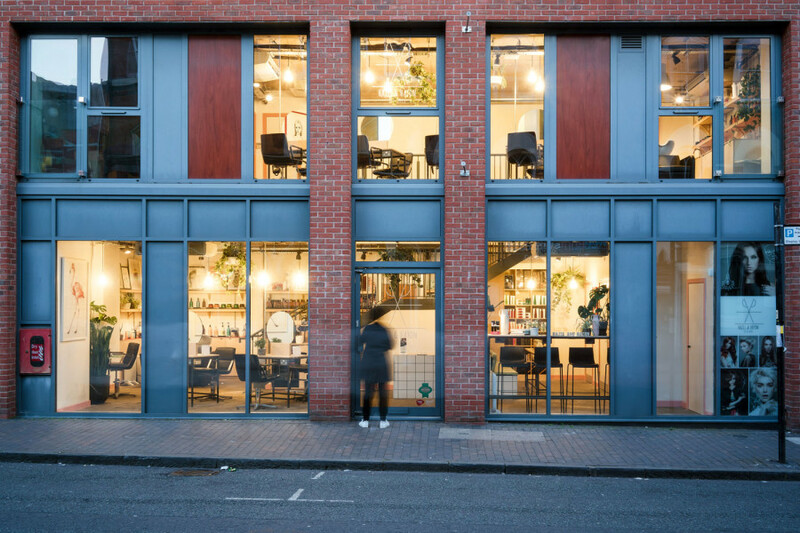 A bench and high stools are included to create a cafe area which faces the street. 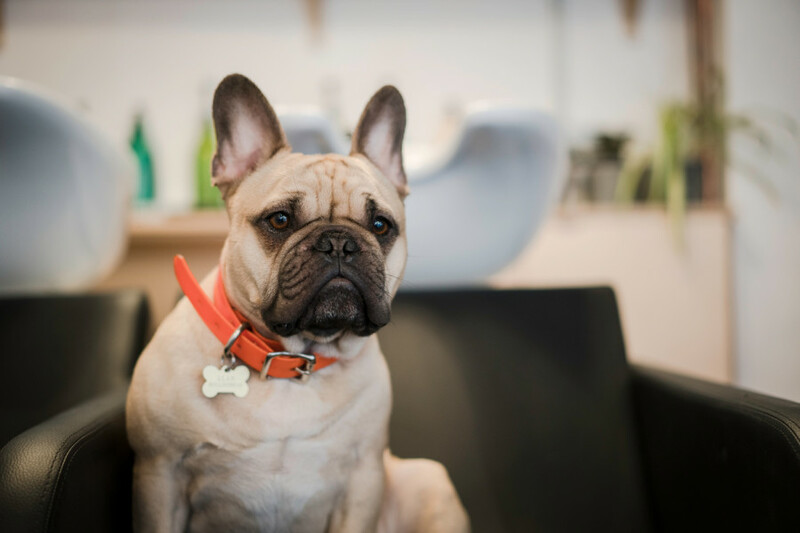 The salon’s French bulldog, Alan, is a key user of the space, with a bed in reception area also. 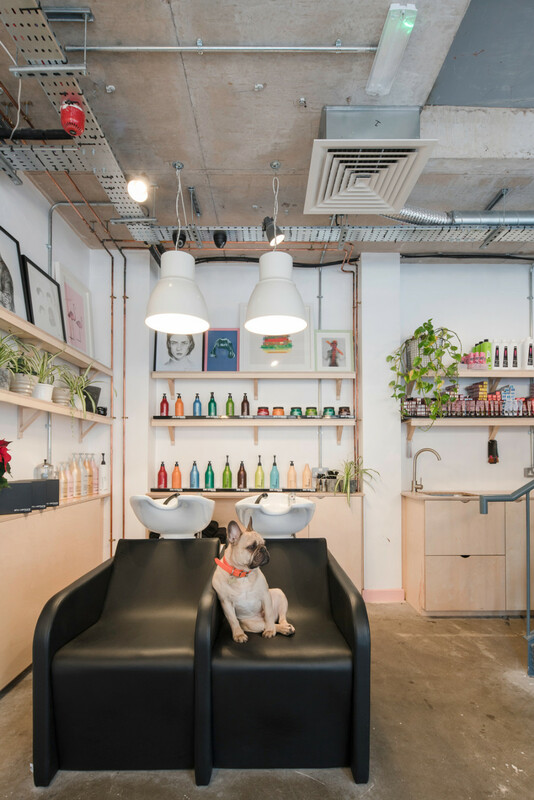 The references of colour throughout are pale pastel hues which highlight the skirting and architraves, offset by bright white surfaces. 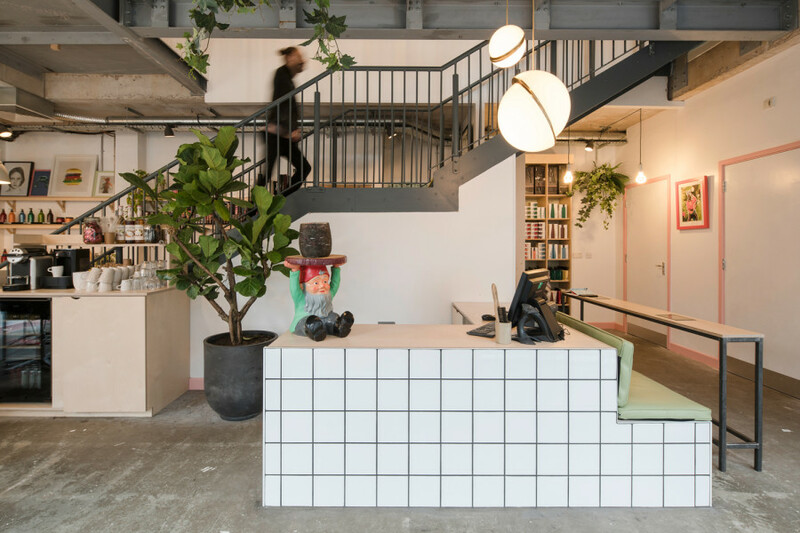 On each floor, the cable trays, pipe work and electrical conduits are exposed to allow clamp lighting, and hanging plants throughout the spaces; as a reference to the industrial setting of the heritage location.